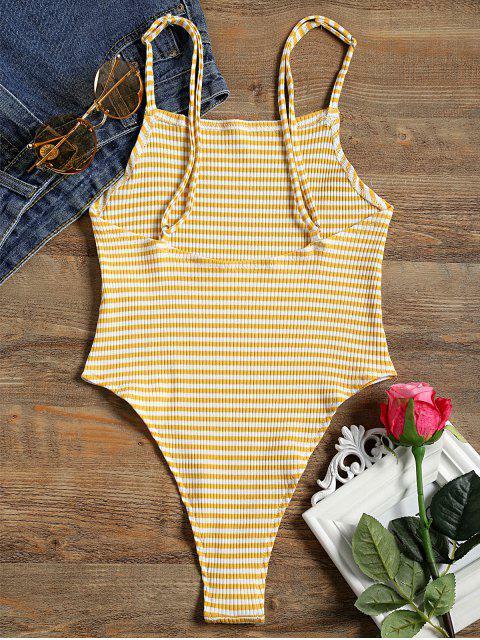 [25% OFF] 2019 Square Neck Striped Ribbed Cami Bodysuit In YELLOW | ZAFUL .. This is so cute!!! The straps are a bit long for the body and not adjustable so they do need altered but nothing I can't fix myself. 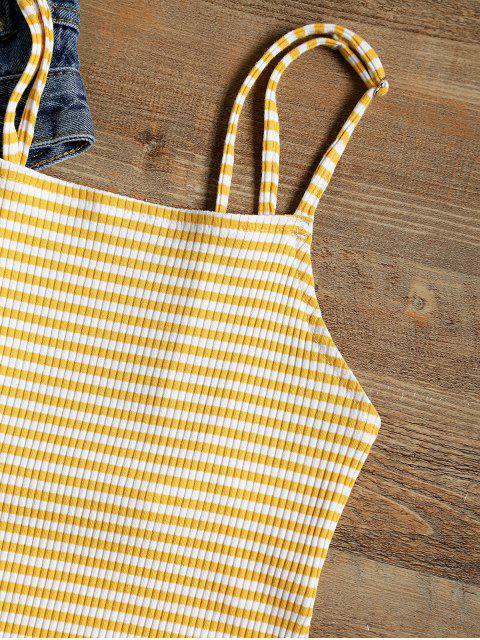 The material is lovely and it's just so cute with denim shorts. Looks exaclty like the pictures . and it runs pretty small. i got a a small and you can see the side is the shirt ending below belly button . straps don’t tighten as much as i want them too. 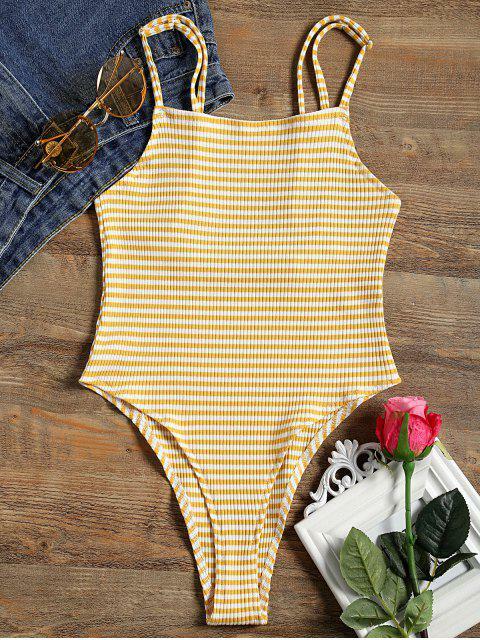 This ribbed bodysuit comes with a touch of stretch and features adjustable shoulder straps, a square collarline, and a cheeky bottom. Wear the pull-on style with your skinny jeans for an effortless look.